This firm is no longer part of our network and is being removed. Brodies offer clients the largest specialist legal resource in Scotland, delivering services of the highest quality to Scottish, UK and global organisations. With offices in Aberdeen, Edinburgh, Glasgow and Brussels, they offer legal advice to private and public sector clients in core areas such as mergers & acquisitions, business disputes, commercial property, banking & financial services, employment, pensions & benefits, trust & tax and more. 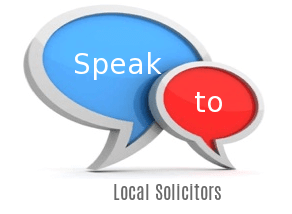 Friendly professional advice from a law firm who understands the needs of their clients & that is on the side of clients since 2001. Questus Injury Lawyers are leading personal injury claims specialists based in the North East of England but handling claims all over England and Wales. They have a reputation for being modern, efficient and friendly. 99% per cent of claims they take on are successful. They offer a unique price promise. They don’t deal with middle men and tie you in to paying commissions to people who have not helped you with your claim, you know you will get the highest level of damages available for your injury. They keep compensation simple. The same lawyer will handle your case from start to finish. You can always get through to them on the phone and you will always know exactly how close you are to winning your claim and getting your compensation. One of the UK's largest and well known law firms with offices in a number of locations throughout England, Scotland and Wales. Their mission is to give people easier access to world class legal services. With over 90 years' experience, they represent clients across a wide range of case types from personal injury claims to commercial matters. They promise an open, friendly and responsive approach, resulting in constructive advice & innovative solutions. They handle: Work Injury, Wills and Probate, Unfair/Constructive Dismissal, Slip Trip or Fall, Road Accidents, Medical Negligence, Legal Services, Holiday Sickness, Faulty Products, Employment Dispute, Divorce, Discrimination and Harassment, Disciplinary Defence, Criminal Injuries, Conveyancing, Commercial Property, Business/Commercial Law, Business Dispute Resolution, Asbestos Claims, Accident Compensation Claims. One of the UK's largest law firms with offices throughout England, Scotland and Wales. With over 90 years' experience, they represent clients across a wide range of case types from personal injury claims to commercial matters, wills and more. They promise an open and friendly approach with constructive advice and innovative solutions. The people Slater and Gordon select to work at the firm is of the utmost importance to them. This care has resulted in them winning awards for their employment setup at the Manchester Legal Awards, as well as being named Employment & Labour Law Firm Of The Year.